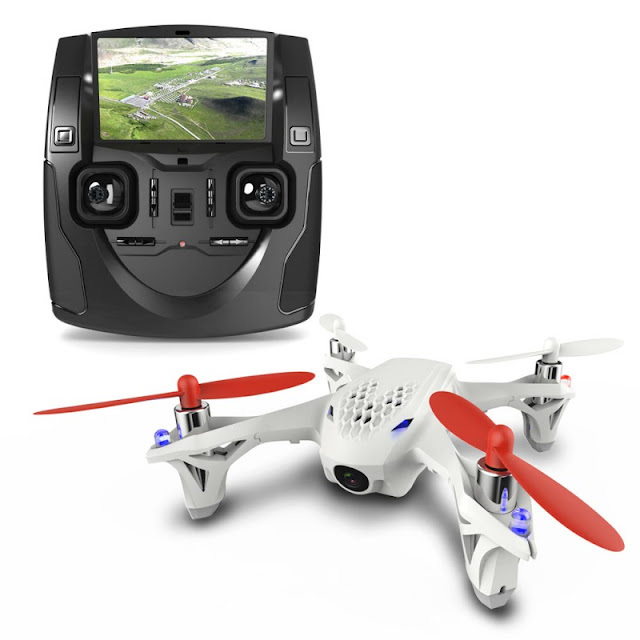 This large T40C 3.5 channel helicopter comes complete with on-board High Definition camera and is capable of taking photos and recording videos straight onto the included 2GB micro SD card and then copied to your computer or laptop with the supplied Micro SD USB card reader. 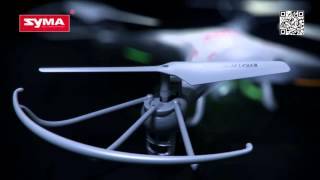 With servo controlled blades and a 2.4GHz control, it is perfect for outdoor flying and is incredibly stable and amazingly easy to fly which makes it perfect for the beginner. The Gyro system ensures the helicopter rotors keeps spinning even in strong winds and also determines the flight heading of the helicopter. The Gyro is the core component used to determine the helicopter's directionality and does this by balancing the speed of the motors to counteract any torque rotation caused by the main blades spinning. 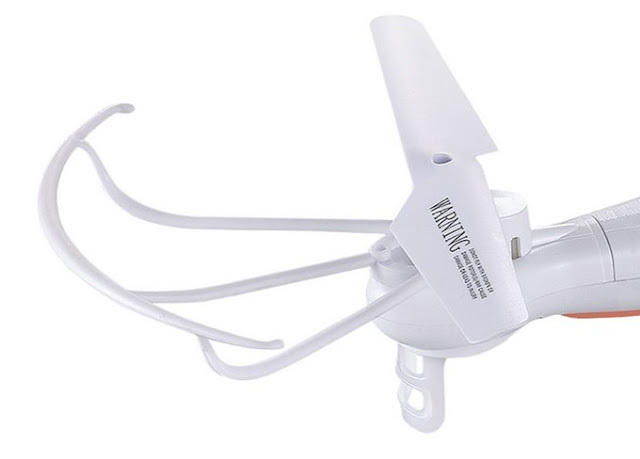 It also has an efficient coaxial-rotor structure, whereby the helicopter incorporates two sets of main rotors, an upper and lower set to allow stability without the use of a tail rotor. The double motors mean that one motor powers a separate rotor, ie one motor powers the upper blades, and one the lower blades, providing powerful driving force for the flight. 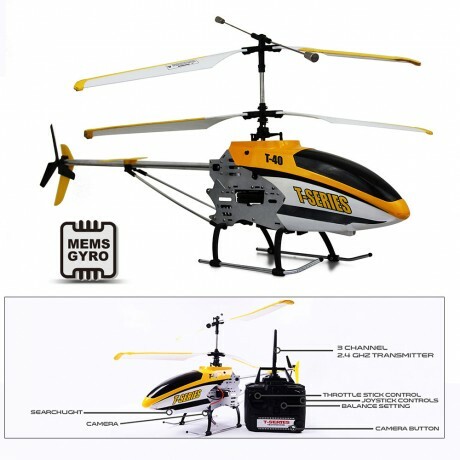 This amazing chopper provides long control distance (up to 150 meters), strong anti-interference ability, small power consumption, and rapid response. To record your journey during flight, press the record button on the transmitter, and save your flight images and video to the SD card. 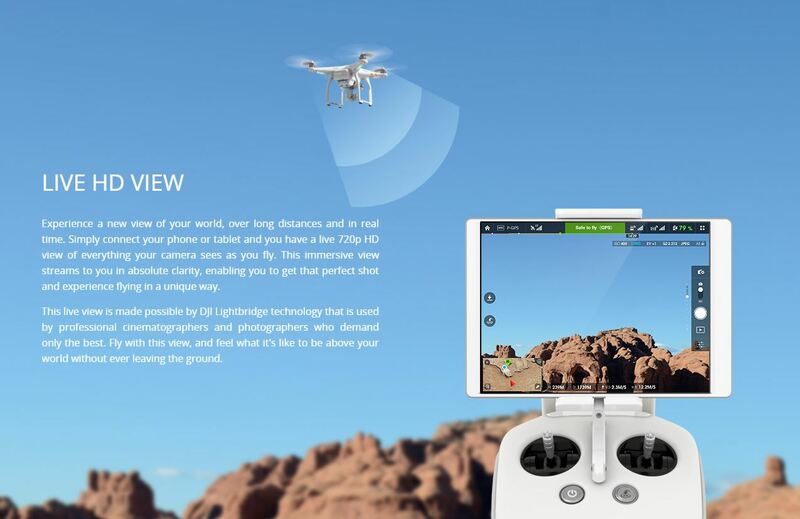 The camera angle is adjustable, and it can be turned on or off when necessary by using the remote control. With this helicopter, you will now be able to see a high definition birds-eye view of your surroundings. Thanks to an onboard LED searchlight, flying in low light areas is easy, looks good and provides a bright forward facing light to help with orientation. By Terry Dunn on Feb. 12, 2014 at 10 a.m.
Just like any other electronics-based industry, RC has seen enormous technological advancements in recent years. This is the first of a series of articles that will serve to explain the basics of RC and illustrate the scope of its creative possibilities. The hobby of radio-controlled (RC) cars, boats, and aircraft has long been a gravitational pull for inventive makers. In fact, being a do-it-yourselfer was a prerequisite in the early days of RC. Not only did you have to build your own vehicles, you had to build the radio equipment too! A lot has changed about RC since then, but it is still a great avenue for creative minds to put their vehicular ideas and designs into tangible form. This is the first of a series of articles that will serve to explain the basics of RC and illustrate the scope of its creative possibilities. I recognize that some of you may be completely new to the RC scene, so I’ll start out with the essential rudiments. Just like any other electronics-based industry, RC has seen enormous technological advancements in recent years. For that reason, even those of you with previous RC experience may want to tune in and see what’s new. My goal is to keep the first several guides focused on mainstream RC equipment and activities. Once everyone is up to speed on the basics, we’ll start to explore more diverse and advanced topics. Eventually, I’ll make some excursions to the lunatic fringe of RC (trust me; it’s a long, strange trip). I think you will be amazed by some of the unique things folks have come up with, and perhaps be inspired to create your own innovative designs. 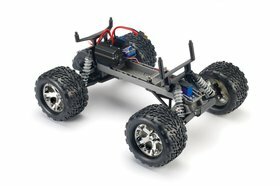 Before I dive in to explaining the different types of RC vehicles, I think it is important to make the distinction between toy-grade and hobby-grade RC stuff. You can expect just about any RC gadget purchased from Radio Shack or a big-box store (Target, Wal-Mart, etc.) to be a toy-grade item. That doesn’t mean it won’t be fun (I own several), but such items are meant to be disposable. They are not designed to accept performance-enhancing hop-ups or customizations. When they break, you may or may not be able to get replacement parts to keep them going. 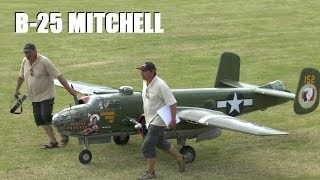 Keith Sparks is an RC flyer who typically prefers realistic looking models. 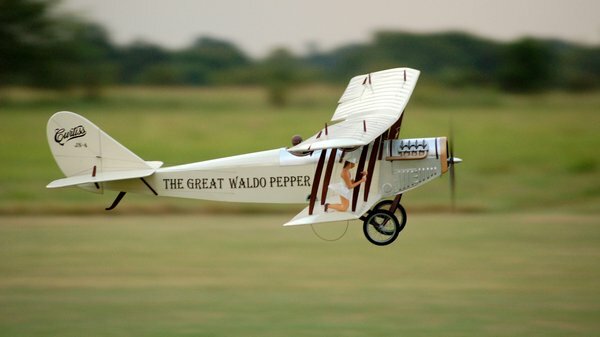 He even added a wing-walking Susan Sarandon (as Mary Beth) to his Curtiss Jenny model inspired by the movie “The Great Waldo Pepper”. Hobby-grade equipment will cost you more up front, but it will perform better and last longer. Obviously, a hobby shop is the place to go for these items. 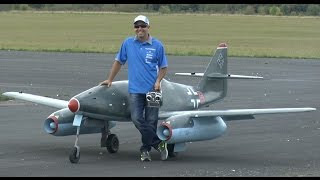 I still have my first RC plane, and it is in flyable condition. This poor airplane has been wrecked and repaired several times during its 30-year life of hard knocks, but the abuse isn’t evident from a casual glance. It has also been host to all sorts of radio gear and propulsion systems through the years. My collection also features several RC cars that are more than twenty years old and still going strong thanks to periodic maintenance and replacement parts when needed. This stuff is tough. My point is not to kick sand in the face of toy-grade RC stuff…it definitely has its place. The focus of this series, however, will be on hobby-grade items. Cars are an ideal way to get started in RC. 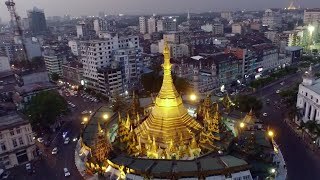 I think that all of us have some experience driving real cars, golf carts, bicycles, scooters, or some flavor of steerable, wheeled vehicle. With that ingrained experience and only two basic operations to control (steering and throttle), most people become competent RC drivers pretty quickly. Additionally, most of us have access to the necessary open space to operate an RC car…whether it is your neighborhood street, an empty parking lot, or perhaps an organized race course. 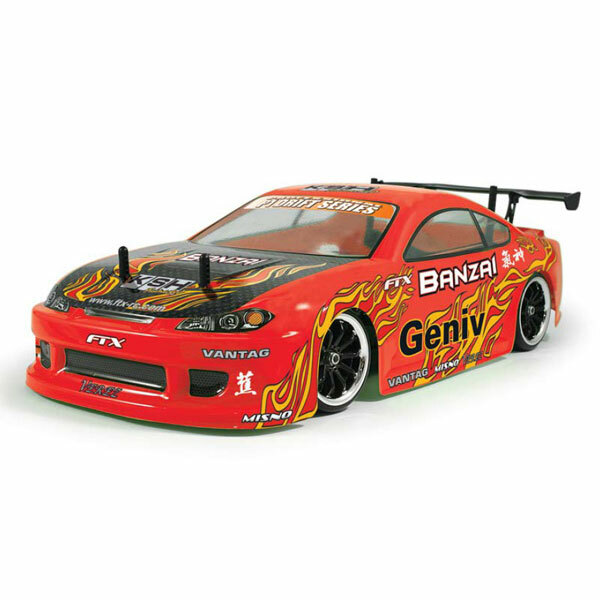 RC cars and trucks come in a few standard scales such as 1/12, 1/10, and 1/8, with 1/10 being the most popular. For a first purchase, I recommend 1/10-scale, 2-wheel-drive (2wd) monster truck such as the Traxxas Stampede. The ARRMA Granite and ECX Ruckus appear very similar to the Stampede, although I have no personal experience with either of them. There are numerous versions of these trucks available. 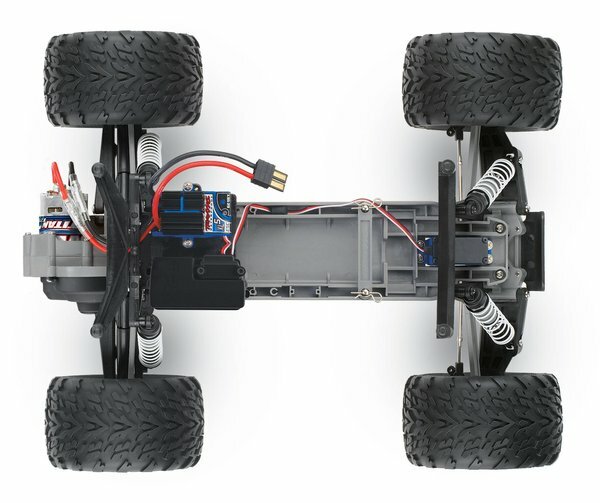 Traxxas even offers 4-wheel-drive variants of the Stampede. For the sake of simplicity, I think you should start out with a 2wd version. 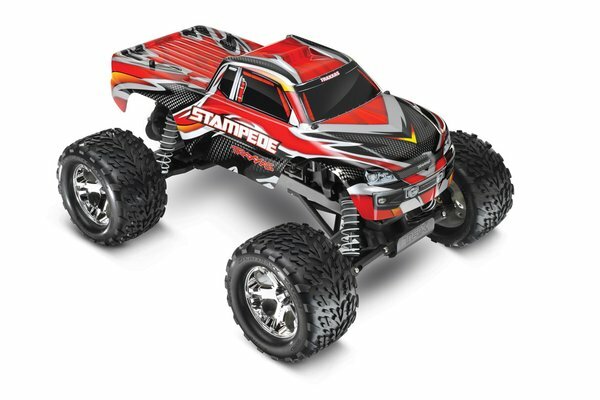 You may also notice that the Stampede and Granite are available with either brushed or brushless motors. I’ll explain the differences between those types of motors in the future. For now, it will suffice to say that brushless is superior in every way except the price. If you can afford the brushless option, go ahead. But don’t feel bad about buying the low-buck package either. The brushed-motor versions of both trucks claim 30+ mph top speeds ! The main reason that I recommend these types of vehicles for newbies is that they are at home on all types of terrain, including the street or your back yard. That’s why they are commonly called “backyard bashers”. They have big tires, strong bumpers, and lots of ground clearance so you can glide over, or bounce off of obstacles that you will eventually learn how to avoid. Of course, you will want to set up ramps and jump over things too. That’s what they’re made for, so bring it on. As hobby-grade cars go, the Stampede and its cousins are quite simple. That makes them good platforms for learning how to repair, tune, and upgrade. These trucks come completely assembled, which may or may not be a good thing. Not so long ago, every RC car began as a box of loose parts. Beginner cars were judged by the quality of their parts as well as the clarity of the assembly manual. Personally, I think there is a lot of benefit to having personally built your truck. In addition to the satisfaction that comes from transforming a pile of nuts and bolts into a dirt-slinging wheelie-popper, you are also much better equipped to troubleshoot the inevitable problems that will pop up down the road. Regardless of the starting point, you will eventually have occasion to tear down your truck to replace a part or maybe just sate your curiosity. So, the lessons will come sooner or later. A big part of the fun of with RC cars is that they can be extensively customized. 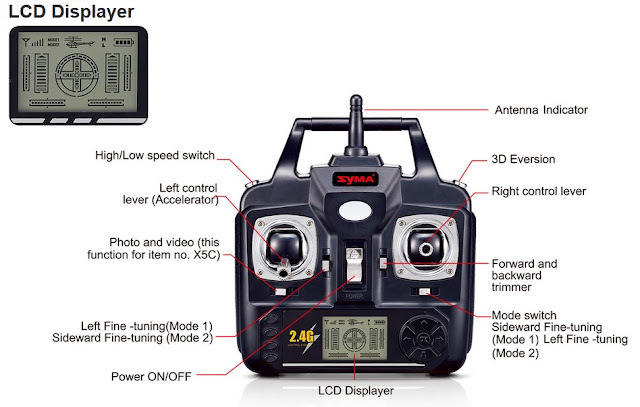 There are actually numerous companies that cater to the aftermarket needs (ok…wants) of RC drivers. You can buy custom tires and/or wheels (yes, even spinners), different shock oils, gears, springs, you name it. Perhaps the most commonly swapped part is the body shell. Most bodies are vacuformed from very tough, clear polycarbonate plastic (aka Lexan). You need special paint to bond to the Lexan, and it is typically applied to the inner surface of the body. The plastic then acts as a glossy and protective clear coat, so even a simple 1-color, spray can paint job can look nice. Of course, there are painters who take the Lexan medium to insane levels of artistry. Eventually, you may want to participate in organized RC racing. Just like full-scale auto racing, there are many different types of RC racing to choose from: off-road, road course, drag racing, dirt-oval, to name just a few. The type of racing you choose is likely dependent on what tracks are available near you. 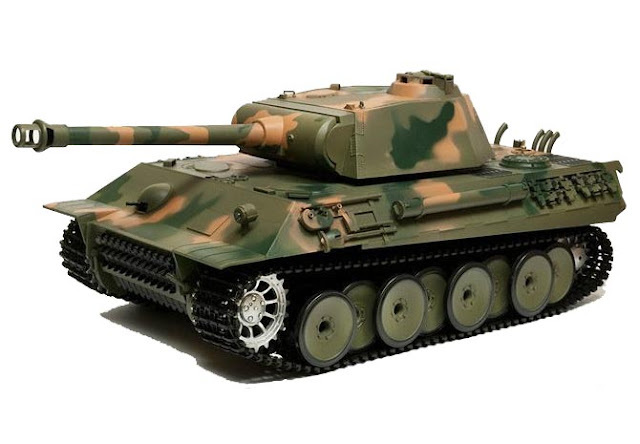 Also akin full-scale auto racing is the level of refinement seen in RC racing vehicles. Just as you won’t see a top fuel dragster on the starting grid at the Indy 500, a RC stadium truck would be totally outclassed at a touring car event. There is certainly some commonality to be found in the machines used across multiple RC racing classes, but make no mistake: these are purpose-built, highly refined racing machines. The RC car industry shares NASCAR’s philosophy of “Win on Sunday, sell on Monday.” To that end, there are teams of factory-sponsored RC drivers all over the world. They participate in local, national, and international races to earn glory for themselves and boost sales for their sponsors. Some of the more exceptional drivers have even managed to make a living at this gig. The point I’m trying to make is that RC racing can be a very intense, highly competitive hobby; but it doesn’t have to be. Most racing venues offer sportsman-level classes that are a bit more relaxed. You can choose the level of commitment that suits your temperament, budget, and driving skills. Just like full-scale auto racing, there are many different types of RC racing to choose from: off-road, road course, drag racing, dirt-oval, to name just a few. 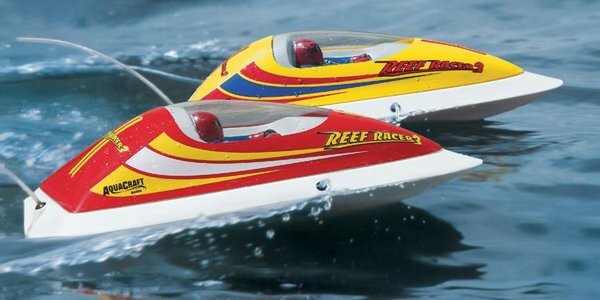 RC boats are a close parallel to cars, with many different styles to choose from. The most common types are plastic-hulled speedboats that are very quick and maneuverable. But let’s not forget about sailboats, racing boats, airboats, scale boats, bb-shooting warships, and even submersible submarines. 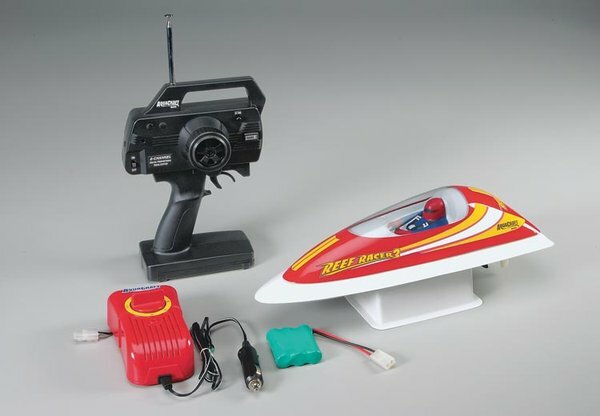 If your interests lean nautical, there’s probably an RC boat to scratch your itch. My suggestion for a first boat would be something like the AquaCraft Reef Racer 2 . This little electric-powered runabout is only 15” long, so you can actually run it in a moderately sized swimming pool. The big advantage of the Reef Racer over other boats is that it is self-righting. If you manage to flip it over from a too-sharp turn in rough seas, it will immediately flip right-side up. You can then continue on your way like it never happened. Just like the trucks I suggested, the Reef Racer is a fully assembled product. You basically just charge the battery and go have fun. In this case, I don’t think you lose much by not building it yourself. With the top hatch removed, you can see the very simple drivetrain and rudder mechanism. If you ever need to perform repairs, it’s all right there. A big difference between cars and boats is that you have to be much pickier about where you operate a boat. Obviously, water is a prerequisite. More specifically, you’ll need a way to retrieve your vessel if something goes wrong. Short of calling the RC Coast Guard (which is probably busy tracking down RC drug smugglers), you could use a row boat, an RC “retrieval” boat (think of it as a waterborne tow truck), or maybe a tennis ball attached to a fishing pole. Trust me, it’s no fun watching the water current or prevailing winds carry your stranded boat into the horizon. There are different classes of organized boat racing available. I have to admit that I have never participated in the racing side of RC boats, but it sure looks like fun. Some of those boats really move! I don’t think RC boat racing is nearly as widespread as car racing, so you may have trouble finding organized events near you. Then again, a race only needs two people. You can always scrimmage with a buddy at the local pond. 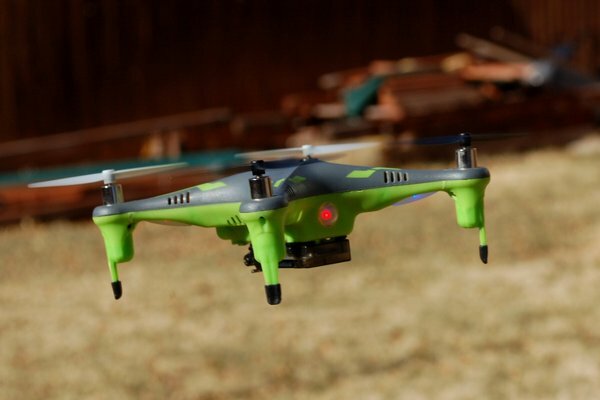 While I have always enjoyed RC cars and boats, my main interest focuses on things that fly. 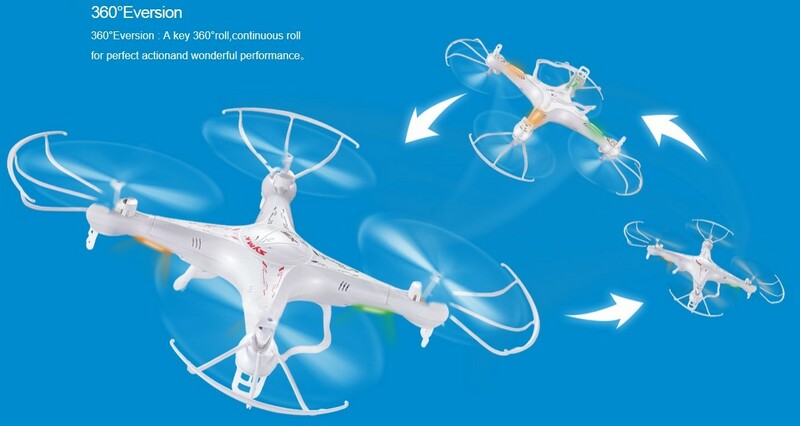 In the past several years the possibilities for RC flying things have expanded dramatically. I think the most significant change has been the development of practical electric-powered aircraft. RC models have traditionally been powered by small 2-stroke internal-combustion (IC) engines. 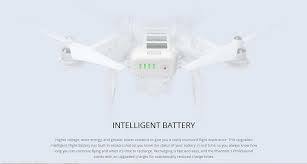 The emergence of high-discharge Lithium Polymer (LiPo) batteries and efficient brushless motors really helped electric power escape from the workshops of tinkerers and become a feasible option for any modeler willing give it a try. 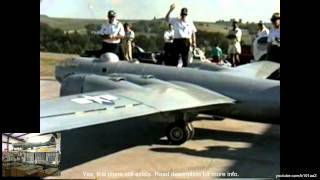 The arrival of practical electric power was the catalyst for several other developments in the world of RC flight. Without the vibration inherent in internal combustion motors, the necessary structures for electric-powered models can be much simpler and lighter than their IC-powered brothers. The natural evolution of this new-found freedom has been the use of inexpensive sheet foam for construction. Often times, a simple model design can be imagined, built, and flown in the same day. This sort of low-equity approach has emboldened modelers to really explore some avant-garde definitions of “airplane”. While balsa wood models are still very popular, the act of actually building them is becoming a lost art. 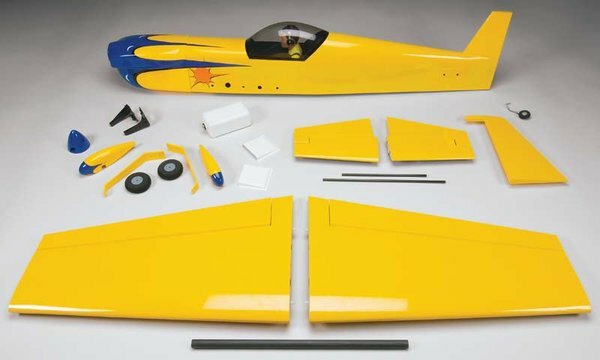 Most modern airplane kits are Almost Ready to Fly (ARF), meaning that the airframe is prefabricated and covered with a glossy polyester skin (usually in China). 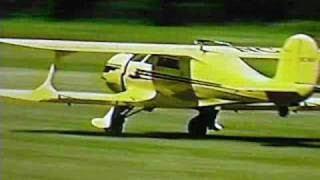 All that’s left is to install your power system and radio equipment, and then go fly. 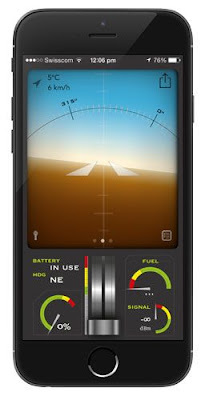 Ready to Fly (RTF) models allow you to bypass even those basic steps (except the flying part). You may only have to attach the wing and add fuel to the tank (or charge the battery). What was once the mainstream source of RC airplanes (build-it-yourself balsa kits) is now a cottage industry served primarily by mom-and-pop outfits. I grew up building balsa airplanes and I still enjoy it on occasion. 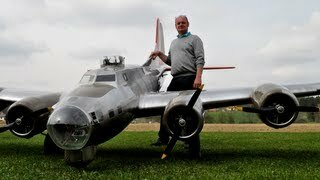 There are some modelers who prefer building over flying. It can definitely be therapeutic. This has been especially true since the advent of laser cutting, which is used by many kit manufacturers to create very precise parts that fit together easily. 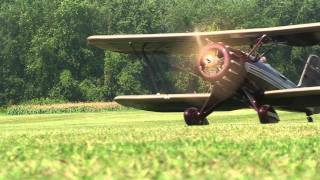 While there are no budgetary or schedule advantages to choosing a kit over an ARF or RTF model, you feel infinitely prouder and stand a little taller when an airplane you’ve built breaks the surly bonds. What was once the mainstream source of RC airplanes (build-it-yourself balsa kits) is now a cottage industry served primarily by mom-and-pop outfits. A different breed of ARF/RTF model is dubbed “foamy”, for obvious reasons. 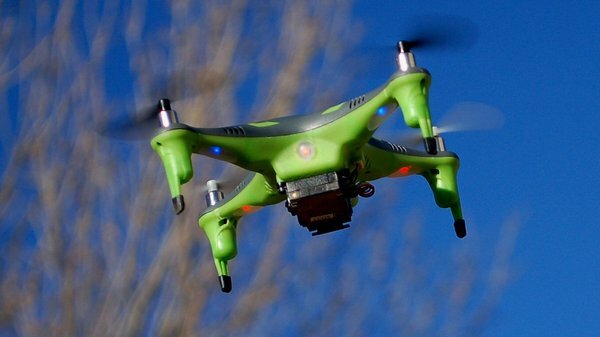 These airframes are made of injection molded foam of various types. They are typically light and very durable. It is not uncommon to be able to smack one into the ground without causing any damage. That capability is a pretty big confidence builder for pilots who are still unsure of their flying skills. It is often said that helicopters do not fly; they beat the air into submission. While it is obviously meant to be tongue-in-cheek, the saying alludes to the difficulty of flying traditional RC helicopters. Even with gyros and stabilization systems, these helis can be difficult to build, fly, and maintain. There is no question that they are complex machines and more than a bit intimidating to most rookies. 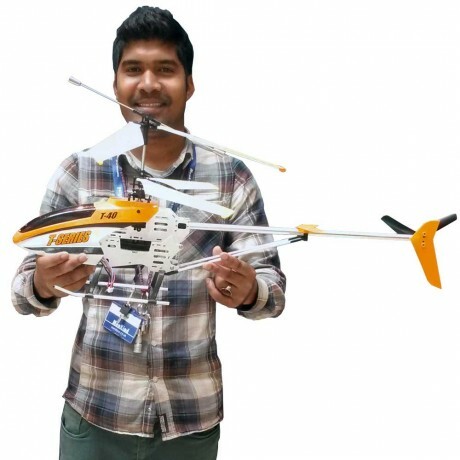 Coaxial electric helicopters (identified by their two contra-rotating main rotors) came along several years ago and introduced a much smaller, lighter, and easier-to-fly alternative. Coaxial helicopters like the Blade CX2 were embraced by wannabe rotary-wing pilots (the CX2 is still a great choice) and many new models were soon available. For many of these pilots, the CX2 was a gateway helicopter that eased their transition to the bigger, more complex machines. 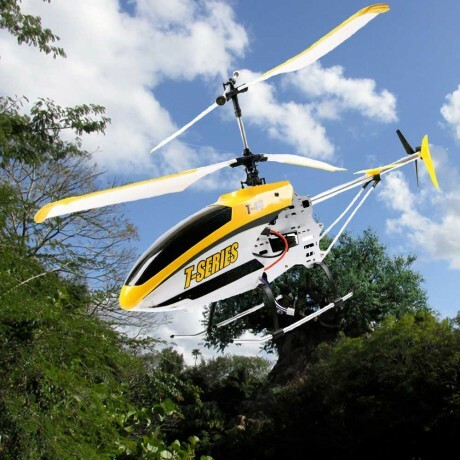 These days, there are countless helicopter models intended for flyers with all levels of experience (or inexperience). 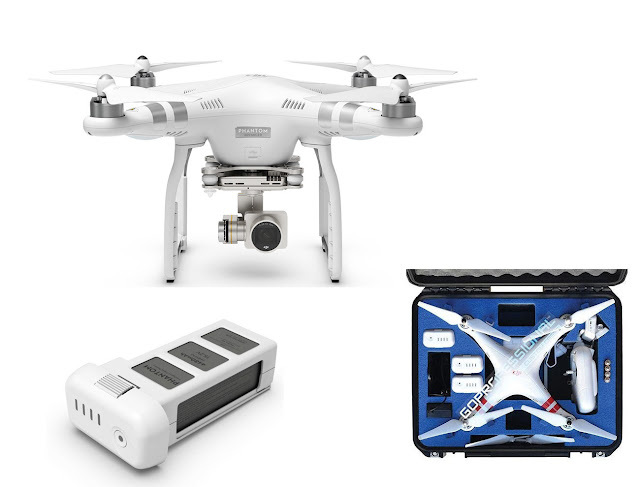 Multi-rotor aircraft are exploding in popularity, mostly due to their relative ease of control and ability to haul cameras. Somewhere during the genesis of electric helicopters, multi-rotors hit the scene in a big way. 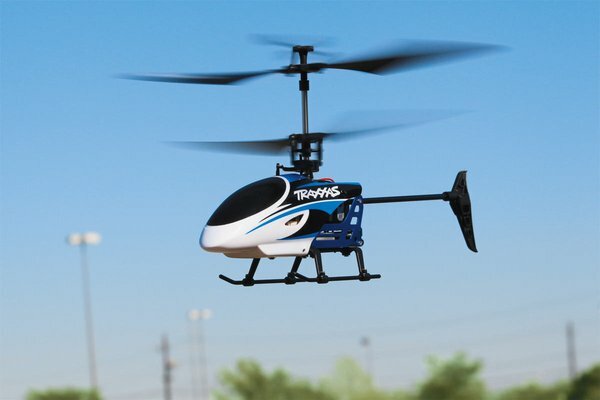 These aircraft are rotary-wing flight in its simplest form. The only moving parts are the rotors. While the required electronics can be somewhat complex to understand, turnkey options are available too. My quad article provides much more info on these models, so I won’t rehash any more of it here. While I recommended specific car, boat, and helicopter models for beginners, I hesitate to do so for airplanes. 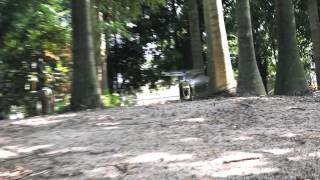 Very few people successfully learn to fly RC airplanes on their own. 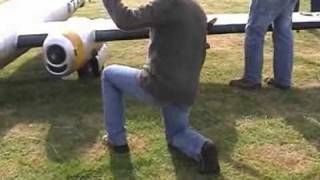 You have to acquire a lot of unintuitive skills to become a competent RC pilot, and that means getting help from an instructor. Most instructors have their own idea about what constitutes a good first airplane, and all of them are probably legitimate choices (hint: NONE of them will suggest the 100mph stealth fighter you covet…don’t bother asking). Rather than possibly contradict what your future instructor may tell you, my best advice is to seek out a local club and inquire about flying lessons. 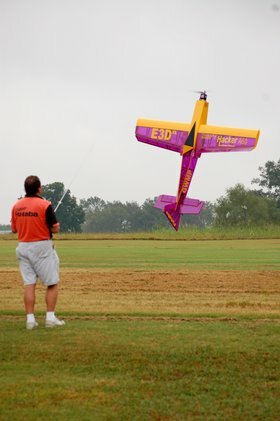 When you visit a RC flying field, you will probably see a large variety of aircraft types and flying styles. Some flyers prefer to mimic full-scale airplanes and helicopters in both appearance and performance. There are very prestigious competitions in that arena. 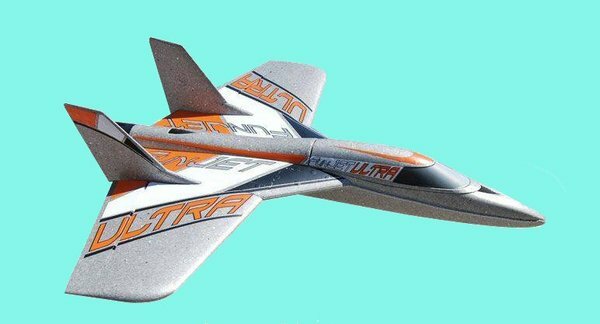 Other flyers revel in making their RC aircraft gyrate in ways a “real” airplane or helicopter could never dream of. Those guys compete with each other too. Most RC pilots, however, are “Sunday flyers” who fly a mix of models and simply enjoy the thrill of outsmarting gravity (usually). 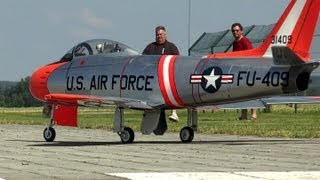 Real airplanes can’t hover in place (yet) but many RC airplanes can ! 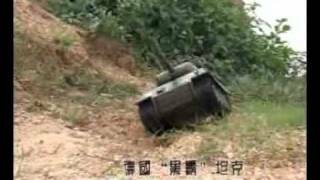 This completes my broad-brush overview of RC vehicles. 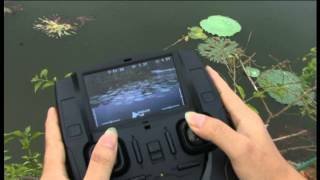 I hope that you now have a better understanding of the breadth and depth of off-the-shelf RC gadgets. I’ve really done my job if you’re already “what if”-ing an innovative RC project for yourself. As I mentioned before, the RC hobby is constantly evolving (I really should have written this article in pencil)…and that’s one of the great things about it. Even if this information isn’t timeless, you should have a better idea of what you’ll see when you walk into your local hobby shop. Maybe you already know what you will be carrying when you walk out. In my next piece, I will introduce the finer points of RC radio systems and cover the different propulsion options that you can choose from.